Song written by Kate Bush. Originally released as the lead single from Kate's third album Never For Ever. The lyrics of the song are about a foetus, very much aware of what is going on outside the womb and frightened by nuclear fallout, which implies that the song is set either during a nuclear war scare or a post-apocalyptic birth. The lyrics also refer to the foetus absorbing nicotine from the mother's smoking. In an interview that year Bush described the song as her "little symphony", adding that she considered it her best work to date. Bush stated that the information within the song mostly came from a documentary she had seen about the effects of nuclear war, while the tone of the song was inspired by Pink Floyd's 'The Wall'. The song was recorded over three days in early 1980. The track includes spoken words describing the flash from a nuclear bomb. The exact words - which are missing from the artwork on the album - are: "In point of fact it is possible to tell the Difference between a small nuclear explosion and a large one by a very simple method. The calling card of a nuclear bomb is the blinding flash that is far more dazzling than any light on earth - brighter even than the sun itself - and it is by the duration of this flash that we are able to determine the size of the weapon. After the flash a fireball can be seen to rise, sucking up under it the debris, dust and living things around the area of the explosion, and as this ascends, it soon becomes recognisable as the familiar 'mushroom cloud'. As a demonstration of the flash duration test let's try and count the number of seconds for the flash emitted by a very small bomb; then a more substantial, medium-sized bomb; and finally, one of our very powerful, 'high-yield' bombs." 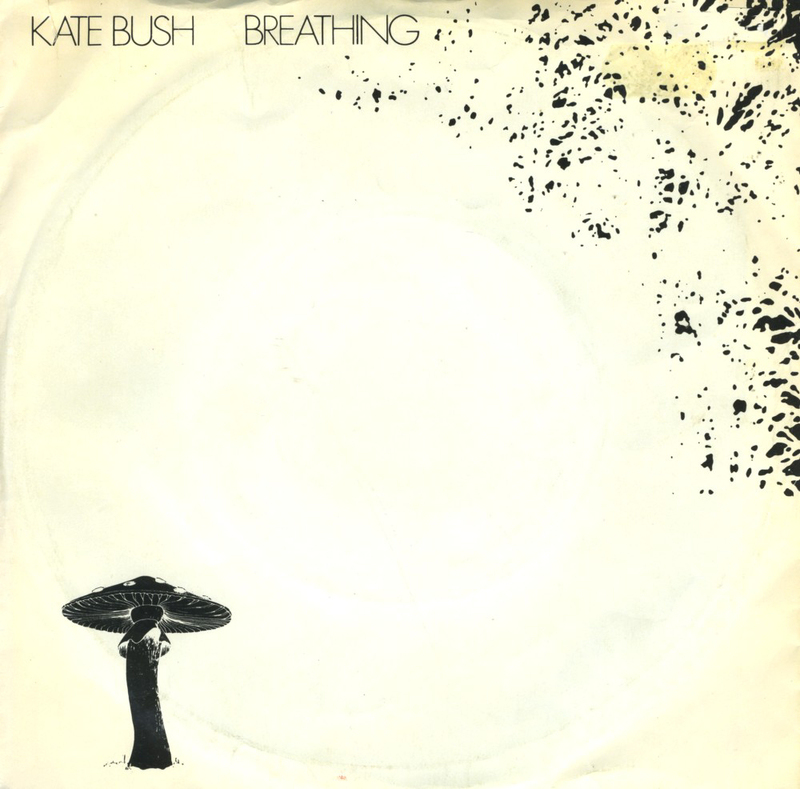 'Breathing' was only released as a 7" single, but many different sleeves exist because of regional varieties. The B-side is The Empty Bullring, a non-album track. There are two versions of 'Breathing': the single version and the album version. The music video features Bush in a plastic bubble, trying to get out. 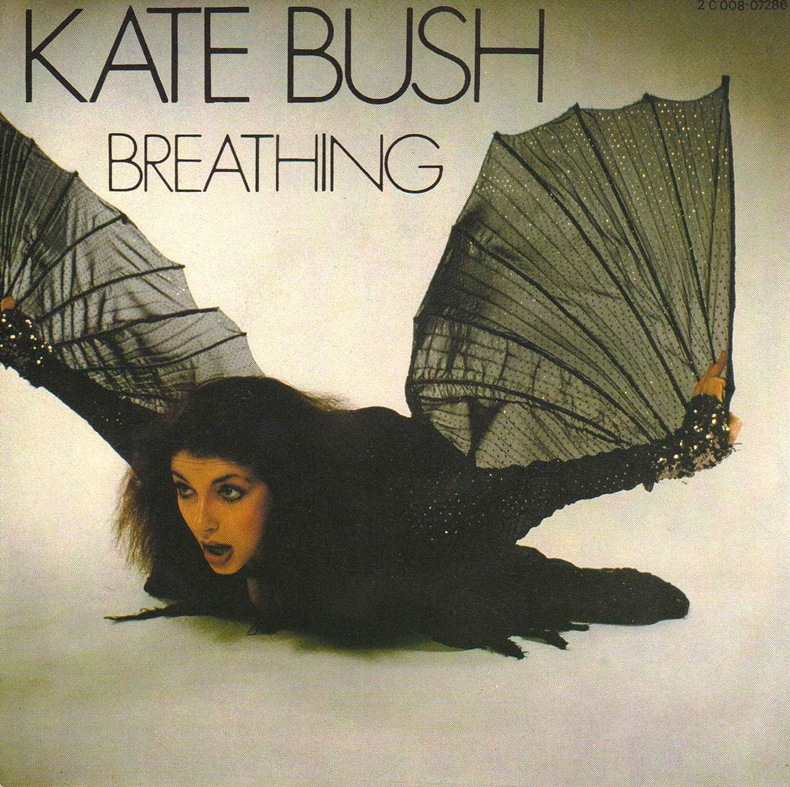 Kate Bush only performed 'Breathing' live once, during a Comic Relief concert on 25 April 1986. It was a solo piano version. 'Breathing' has been covered by Andy Bell, Big City Orchestre, E-Clypse feat. Emma Price, Goodknight Productions, Göteborgs Symfoniker, The Kate Bush Experience, Kurva Choir and Niki Romijn. 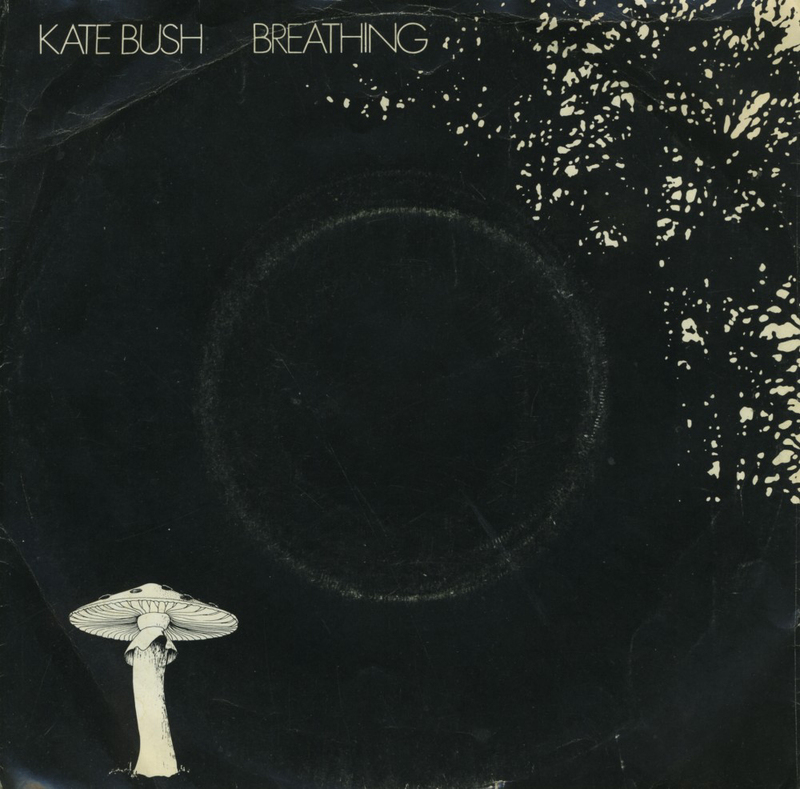 Breathing (Kate Bush song). Wikipedia, retrieved 11 October 2014.